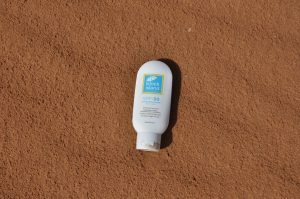 You are here: Home / Beauty / Skincare / Sun protection – What’s important in sunscreen and why? So, I am about out of sunscreen for myself and my kids and while I have my favorites, I thought it would be a good time to try out a few new ones. 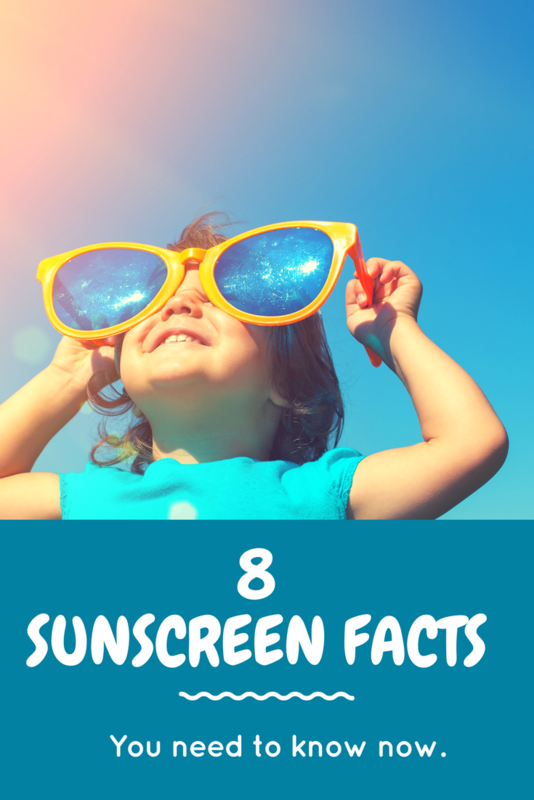 I consider myself a bit of a “sun protection expert” but once I started digging into the information out there….holy $hit – there is so much I did not know. Further, it’s actually REALLY time consuming to dig through all of the information to figure out what really matters. Chemical vs physical sunscreens? Am I poisoning myself and my family by using the wrong one? And what is worse – the chemicals or the long lasting sun damage from burns and repeated exposure? STRESSFUL! I am sure I am not alone in this, so I’ve shared my info below. This post is a bit longer than I planned but I really think most articles on sunscreen really gloss over some of these important points, so I had to dig and dig to get my questions answered, which hopefully is useful to you as well. 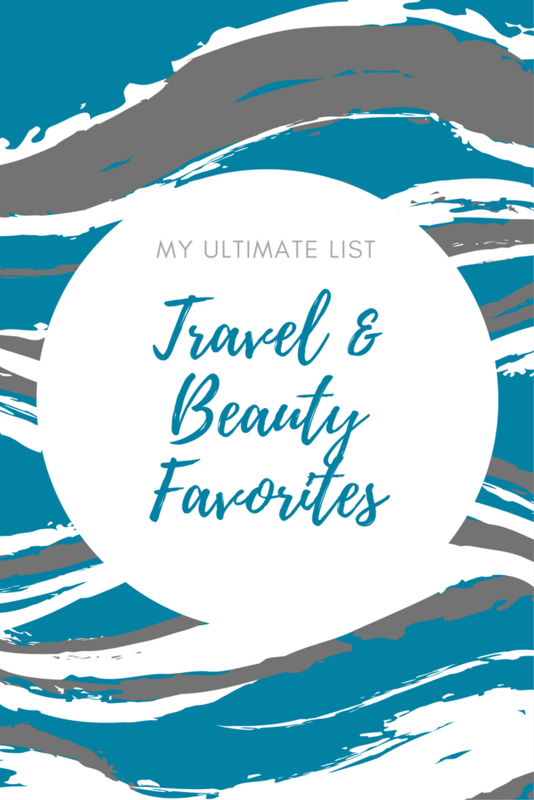 I think I’ve gotten lucky by choosing a few brands that happen to encompass most of the important qualities of a good sun protection product, but there are SO many out there that do not so it’s important to understand what you are getting. The post on my favorite sun protection products will actually now be a separate post, given the involvement of this one! Sunlight that reaches in two forms: Ultraviolet A (UVA) and Ultraviolet B (UVB) rays. UVA rays are long wave and they penetrate deep into the dermis, which is technically 2 layers below skin surface. This type of radiation accounts for 95% of the UV radiation that reaches earth. Yikes. UVA rays do not cause sunburn but they do cause premature aging, wrinkling and they affect the immune system negatively. UVA exposure is associated with a higher risk of developing melanoma. Further, UVA rays are equally prevalent at all times of day throughout the year, unlike UVB rays. 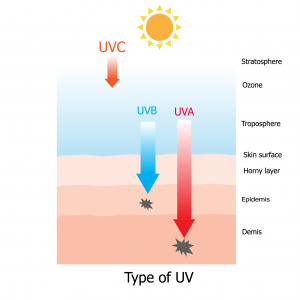 UVB rays will burn your skin, which plays a key role in the development of skin cancer. UVB ray intensity varies but tends to be strongest in the summer between 10 and 4. 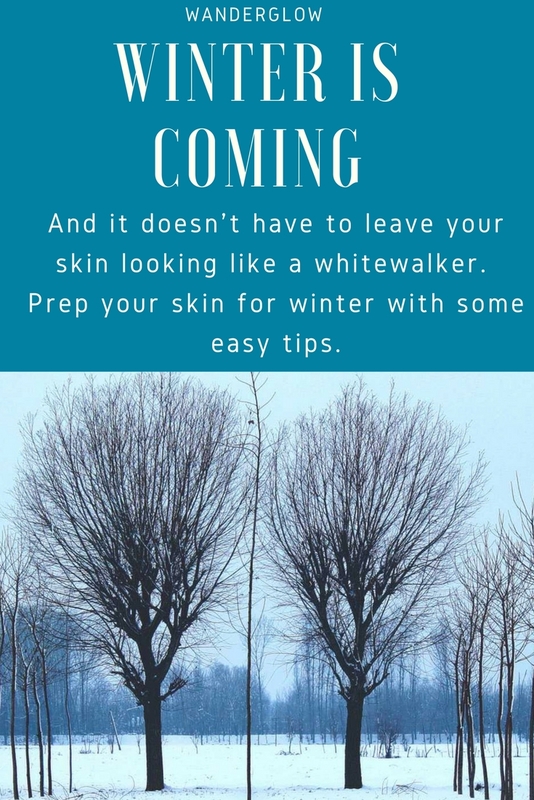 However, UVB rays can be strong in the winter, as you know if you ski or snowboard, and other seasons AND on cloudy days, so there really is no opportunity to let your guard down (except at night!). Bottom line – they both cause skin cancer so we want to block as much of both of them as possible. There is also a 3rd form – UVC, they don’t reach us. Finally, one thing NOT to worry about. Up to 80% of solar UV radiation can penetrate light cloud cover. And unless you need a flashlight to walk around outside, you should have sunscreen on. SPF protects against UVB rays. Does nothing against UVA rays. This fact surprises many people, including me. How did I not know this? More on protecting against UVA in #3 below. Secondly, higher is not always better. The problem with high SPFs comes down to two key points, in my mind: consumer misunderstanding and additional chemicals used to achieve a marginally higher SPF. A product with SPF 50 effectively blocks 98% of UVB rays. SPF 100 will block 99%. Only an additional 1%. The misuse and misunderstanding comes about because people think “Great, I’ve got SPF 100 so I am good to bake in the sun all day from 10-4 without reapplying.” But really, that isn’t the case. A higher SPF does not mean the product offers any protection at all against UVA rays. As a result, these people probably would get some sunburn and may absorb a LOT more UVA radiation. And strong protection requires reapplication, which many people just don’t do (me included). Unfortunately, the FDA doesn’t test or verify the SPFs of most products, except very occasionally, and sometimes you cannot even rely on the advertised SPF, which makes reapplication all the more important. What is also concerning to me is the additional chemicals needed to achieve SPF75 or SPF100. 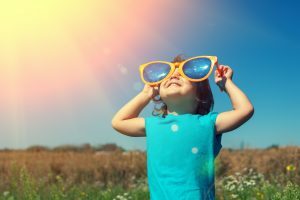 Higher SPFs require higher amounts of sun-filtering chemicals than lower SPFs and some have been linked to tissue damage and potential hormone disruption. See #4 for more info on this. Additionally, the ingredients used to block UVA and UVB rays can counteract each other so a really high SPF is blocking most UVB rays but may offer little UVA protection. This isn’t a widely known fact – I only found it on the EWG website when I was investigating the difference and even when speaking with some industry experts, they were not aware of this. To get the SPF advertised you are supposed to use a full ounce – or a full shot glass – on your body. So that $20 bottle of sunscreen that is 6 ounces? Should only last six applications. Six. Not six months or two years. Six applications, which might be only a couple of days depending on where/what I am doing. There is some confusion about broad spectrum, so I hope to clear some of that up. First of all, Broad Spectrum protects against UVA and UVB rays. Also, this post from Block Island Organics does a great job explaining things clearly. The bottom line is you always need to use a broad spectrum sun protection product. Always. As I said above, SPF only measures protection against UVB rays, not UVA. To be honest, I knew broad spectrum was important but wasn’t exactly sure why. 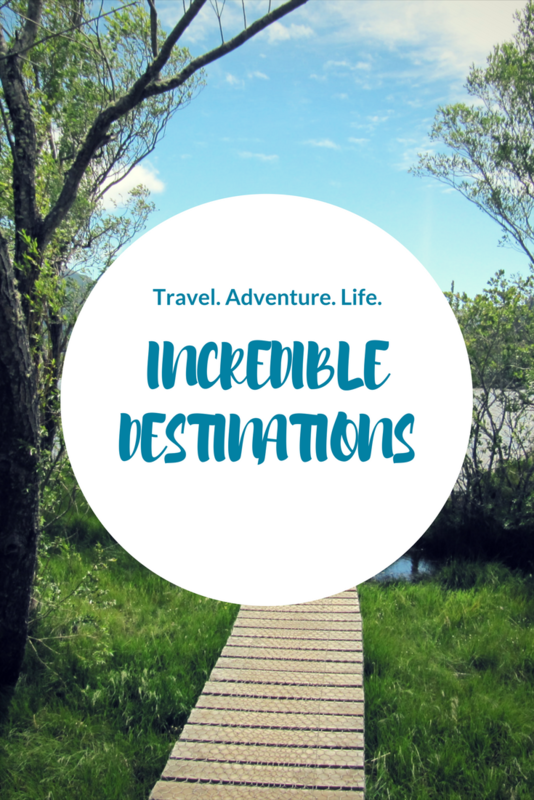 Now I know – and so do you! Chemical filters in sunscreen absorb the suns rays rather than block them. These include PABA-derivatives, cinnamates, salicylates, benzophenones and others. There are studies that say they penetrate the skin, act as hormone disrupters, or that they routinely generate free radicals due to sensitivity to light. You will also be able to find studies that say these chemicals are perfectly safe or that they are better than the alternative – sunburn and risk of skin cancer. That’s undoubtedly true, but my personal preference is avoid them so I don’t use anything with these chemicals in them but to each her own. Also, some sunscreens include retinyl palmitate, which is a form of Vitamin A or retinol. According to research, it is safe in sunscreens but for me it raises questions because of retinol’s inherent properties of making skin MORE sensitive to sunlight. I get the antioxidant benefits of using this, but I can get my antioxidants elsewhere. That’s just me. As it relates to UVA protection, avobenzene and mexoryl SX actually rate pretty well with the EWG, which gives me a lot of comfort. These are two chemical filters used for protection against UVA and there have been few, if any side effects detected. Avobenzene does seem to have a higher rate of skin allergies so if you have a tendency to have skin allergies, probably best to avoid this one. There are two primary physical filters for sunscreen, zinc oxide and titanium dioxide. Zinc oxide physically blocks UVA and UVB rays and is one of the only ingredients that effectively blocks both. You know it is a physical blocker because of the thick, white, sometimes chalky, layer on your skin. Not the most attractive, I know, but I’ll take it any day over chemicals in my bloodstream or sunburn. Further, with the white residue I can always tell when my kids are covered! Pro tip – some brands make a zinc oxide-based sunscreen with tint in it, which really takes out the white/chalkiness. I will also add a few drops of foundation in with some of my zinc-based sunscreens and that really helps too. Titanium dioxide is a tricky one. It’s often touted as a safer alternative to the UV-absorbing chemicals, which is great because we need more of those. However, one of its forms (anatase) actually releases harmful free radicals when exposed to light, which can damage cell DNA and mess with the outermost layer of our skin by making it more permeable and less protective… I know, CRAP! There is another form of titanium dioxide (called rutile) which stays intact under light and washes right off, and this one seems to be more prevalent in sunscreen usage. So how can we tell the difference? Well, you can’t. Only x-rays can analyze the difference to see the which crystal structure is present. Few, if any, labels disclose this kind of detail as well. However, it’s not all bad news. Scientists agree that it is better to have it than not have it and risk sun damage. However, if you prefer to skip titanium dioxide, then opt for my favorite – zinc! 6) How much do I use? Well, to get the SPF advertised you are supposed to use a full ounce – or a full shot glass – on your body. This was also a shock to me because every time I put on the sunscreen, I feel like I remember “how was this bottle $20 or whatever” but believe me, that attitude has no place in my future sun protection strategy. I know my tubs of sunscreen are lasting WAY too long based on that information. 7) Spray sunscreens are so convenient. Aren’t they the best? Well, yes, they are convenient. Unfortunately, convenience does not always equal good (i.e. porta-potty comes to mind.) The issue is two-fold: 1) Sprays can be harmful when inhaled so don’t use sprays around kids and take caution when using them yourself, and 2) Sprays are often poorly applied, with much of the actual product flying off in the wind or not being applied thickly enough. Yup, that is right, user error. Applying a thick coat of lotion/cream sunscreen is less convenient but more effective. If you use these, make sure to be generous with your spraying! 8) When to wear it? Sunny days in all seasons? All summer, even on cloudy days? For this one, I am going to defer to one of the founders of Block Island Organics, Kelly Hsiao. She recently told me that up to 80% of solar UV radiation can penetrate light cloud cover. She also told me that unless you need a flashlight to walk around outside, you should have sunscreen on. Check out more of what she has to say. So…I guess every day is the answer. Wow. Time to invest in some UPF/SPF clothing (I found some awesome deals on Amazon for my upcoming beach trip). What if I can only find chemical sunscreens at my local store? Then buy them. The risk of skin cancer is WAY worse than the alternative. Hope this was helpful! I’ll post my favorite sunscreens soon too. Good thing sunscreen is an all-year-around thing (no- it is not just a summer thing). 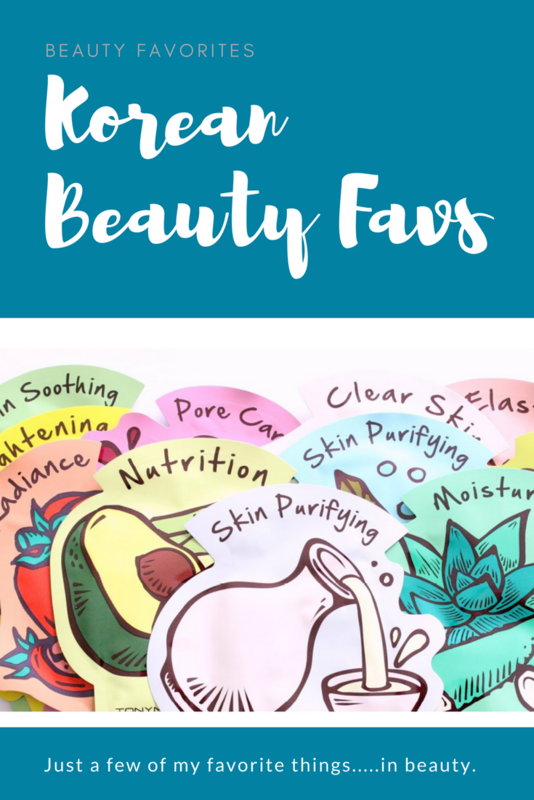 For more wellness and beauty topics, here are some other posts I think you would enjoy!